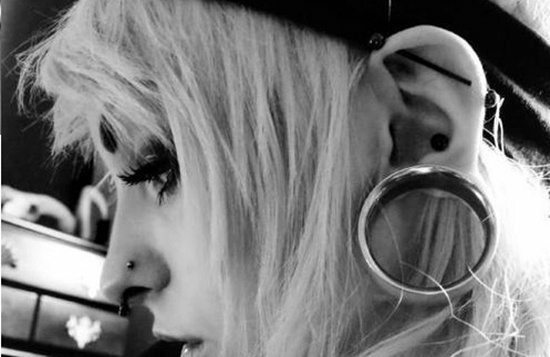 As we all know body piercing has become a cool thing is no longer viewed with quite the kind of disapproval that it used to have a few years back. 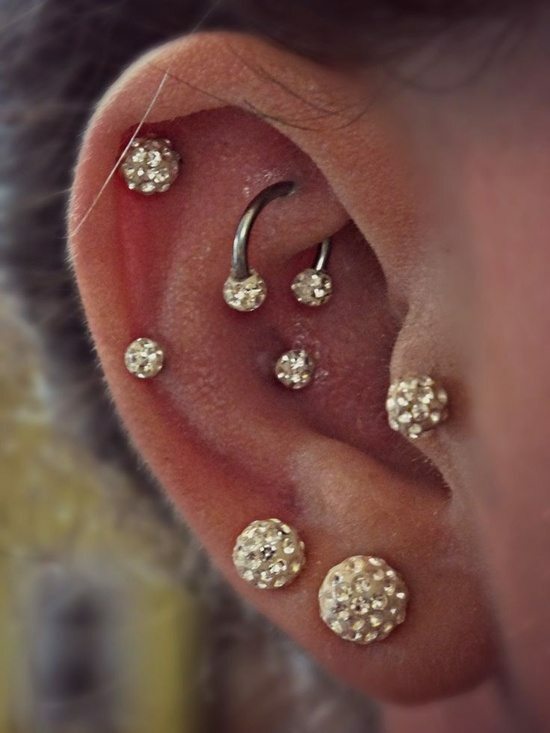 On the positive side it also means that there is a lot more information about the care procedure and the cautions people ought to take with regard to all types of piercing. 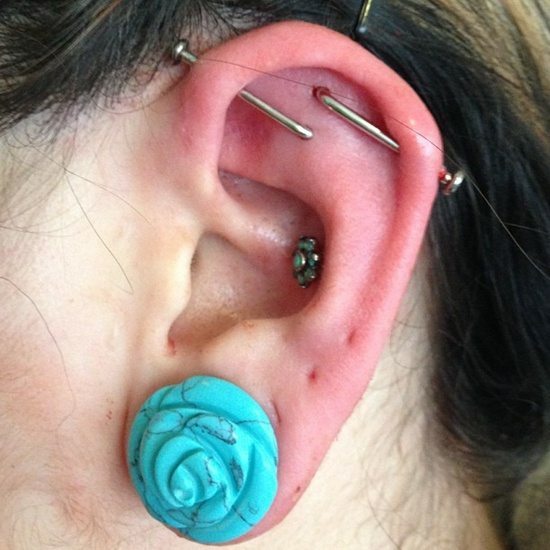 In this article we will take you through some information about industrial piercing. 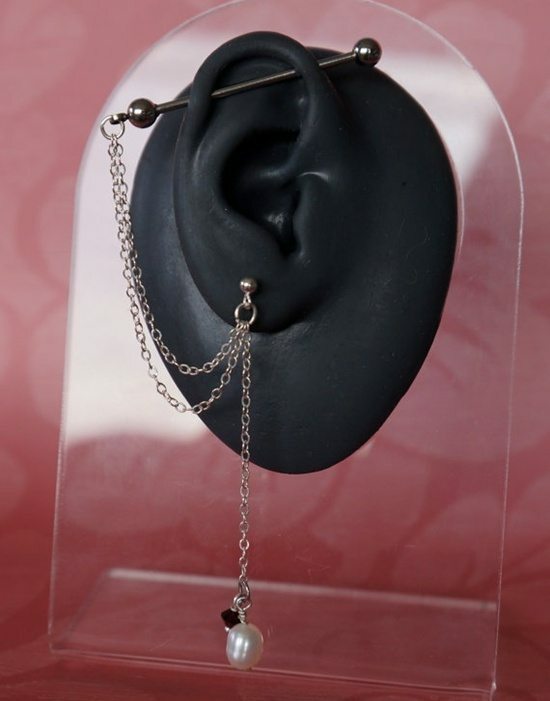 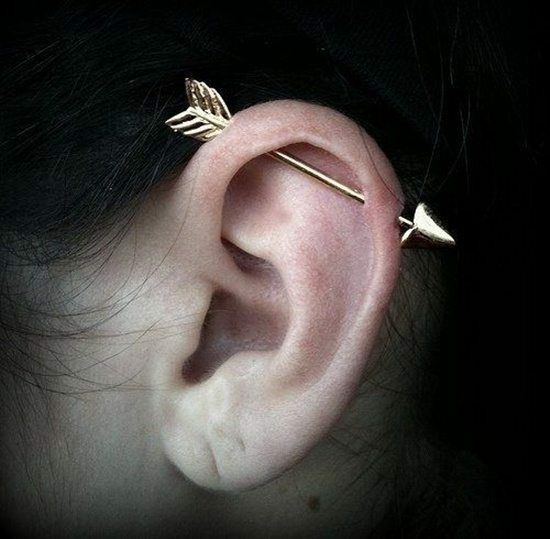 An industrial piercing is also known as the bar piercing or the construction piercing is actually a set of two pierced holes, which are connected together with a single piece of jewelry in the a form of a straight bar. 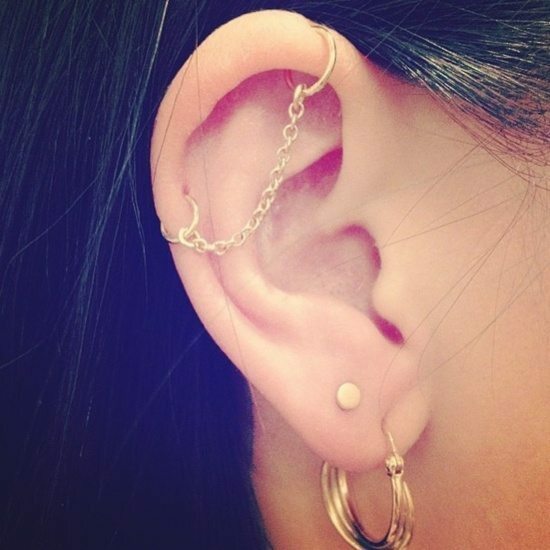 Normally speaking one of the pierced areas is in the upper ear cartilage that is quite close to the head. 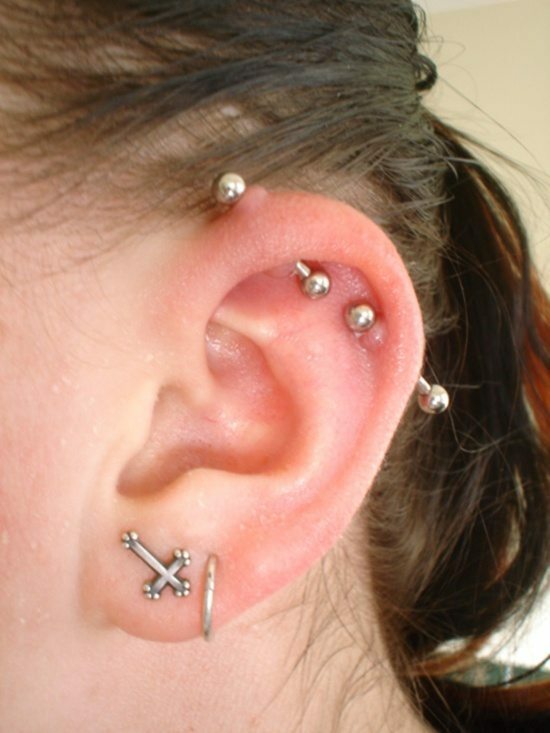 The other piercing is done a little bit lower in the cartilage that is on the outside part of the ear. 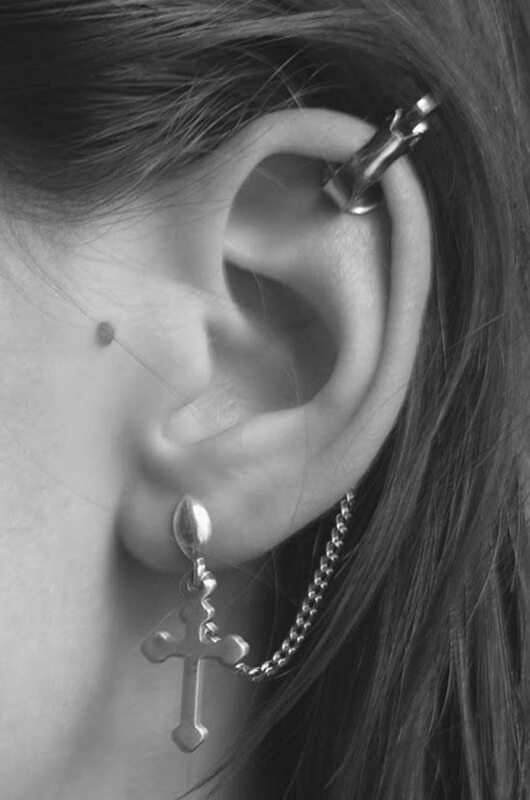 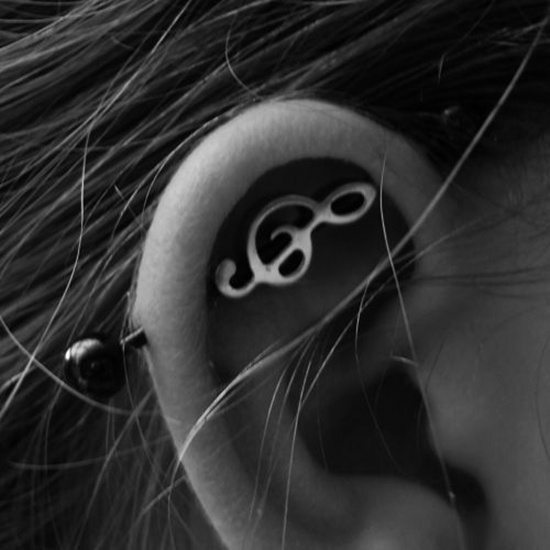 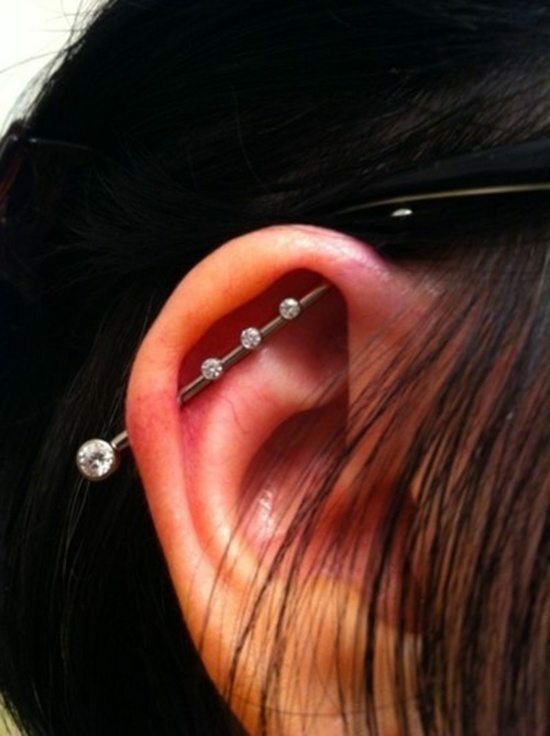 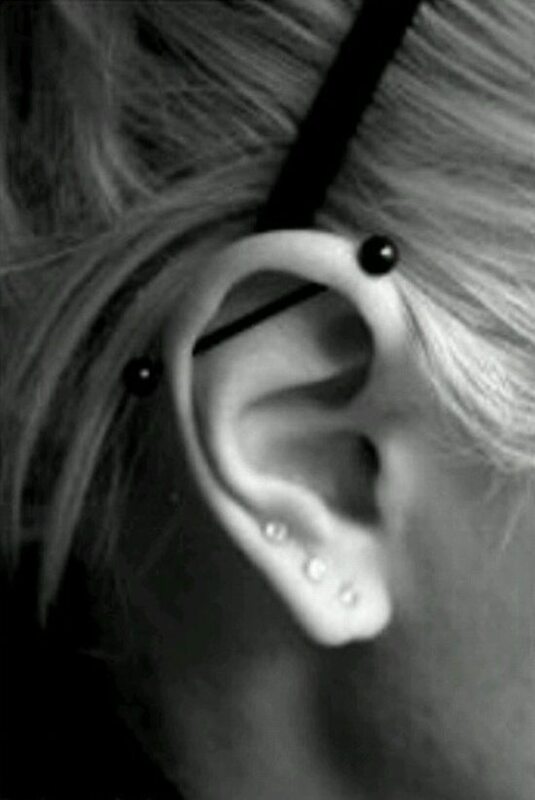 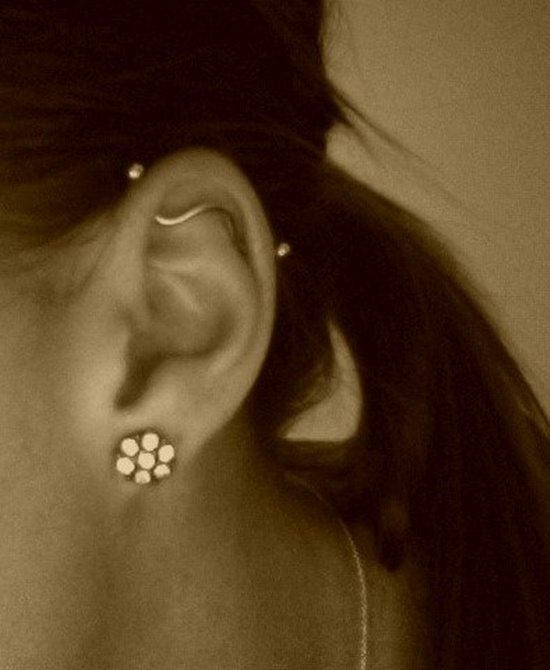 The jewelry used is a straight barbell and this runs from one of the piercing to the other. 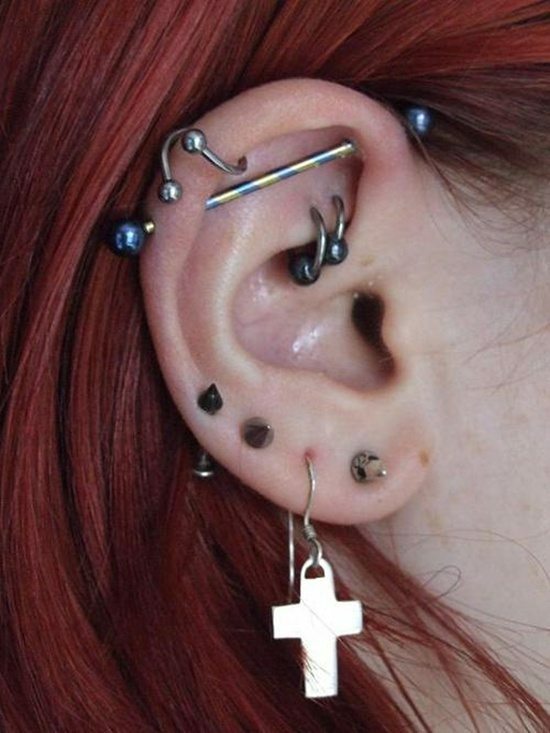 It is inserted from the rear and runs diagonally on the front portion of the cartilage and is then securely fixed with a bead that can be screwed on, behind the second piercing. 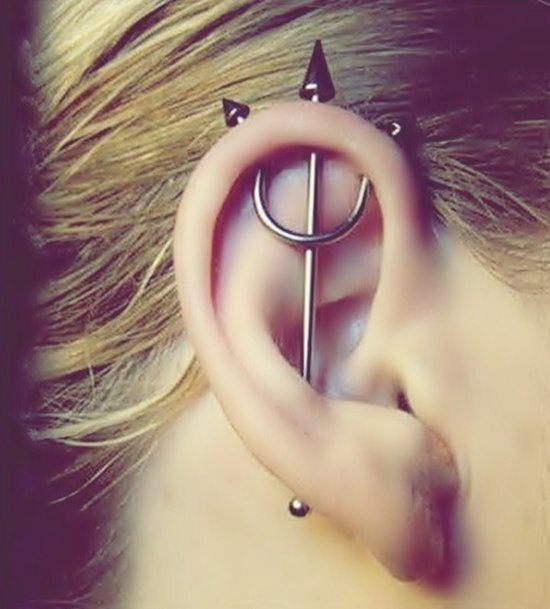 The piercing makes a great and reaction provoking impact. 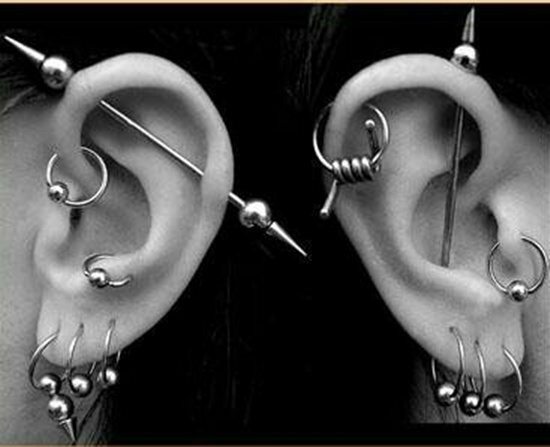 The process of piercing is done with the help of a clean and sterile hollow needle piercing needle of 14g normally. 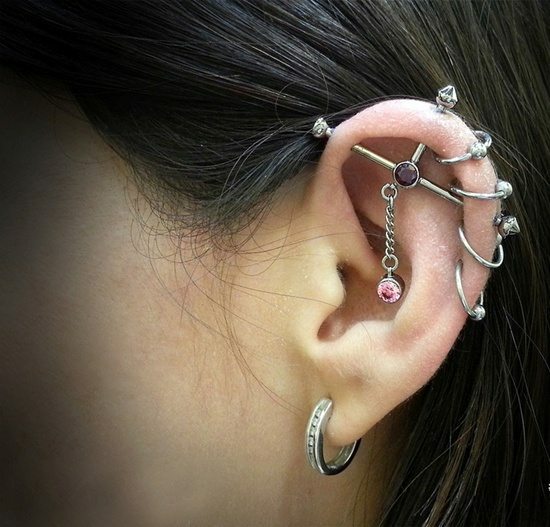 During the course of the healing process, the barbell jewelry is worn throughout till the process is complete. 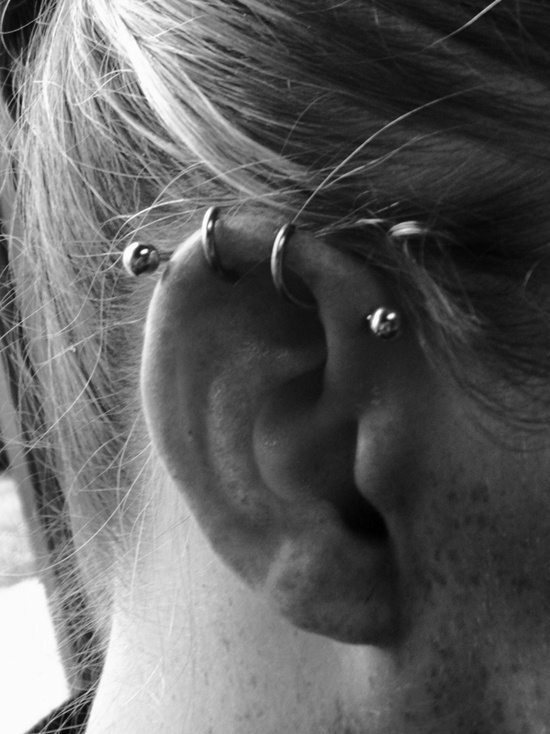 Sometimes people prefer to use a couple of captive bead rings as they believe this results in a quicker healing period. 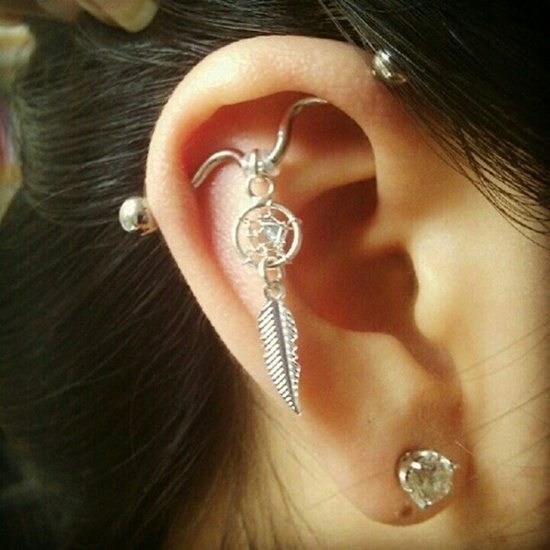 But on the other hand it is believed that proper alignment is difficult with this technique. 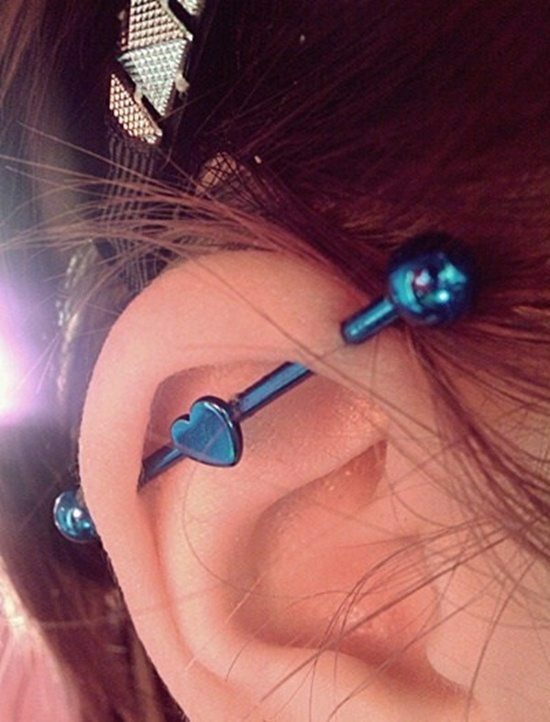 You can also have the piercing done with flexible tube made of plastic and then replace it with the metal bar once the healing process is completed. 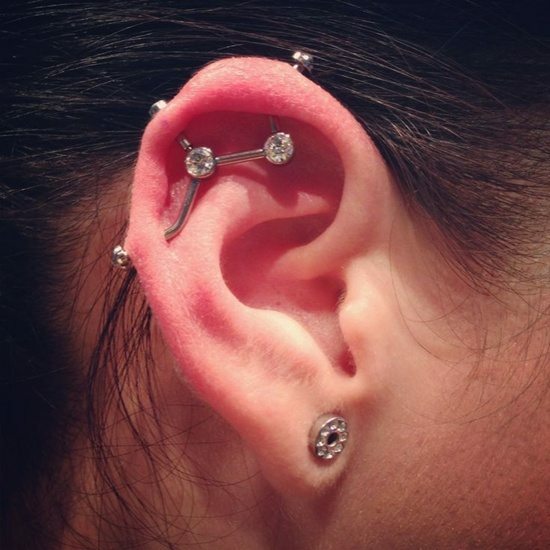 Some may prefer to go with 16 g barbell too. 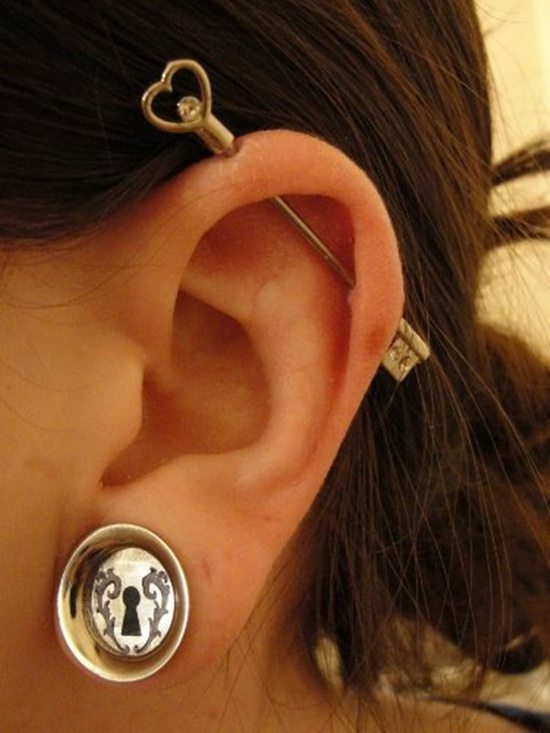 Once the healing process is over you may replace that with 14 g barbell. 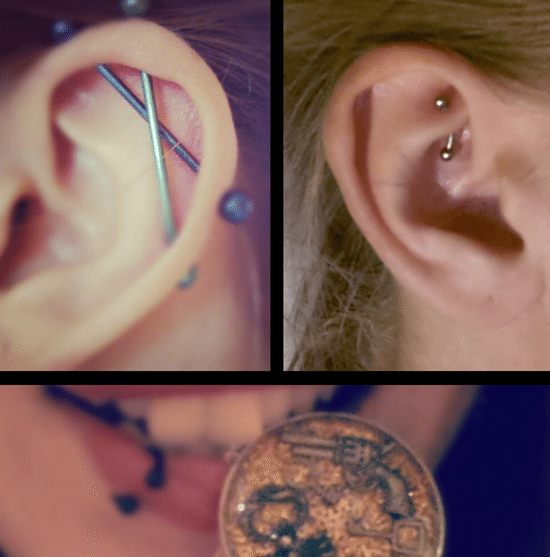 The healing process for industrial piercings could range from as much as 3 months to 12 months to heal properly. 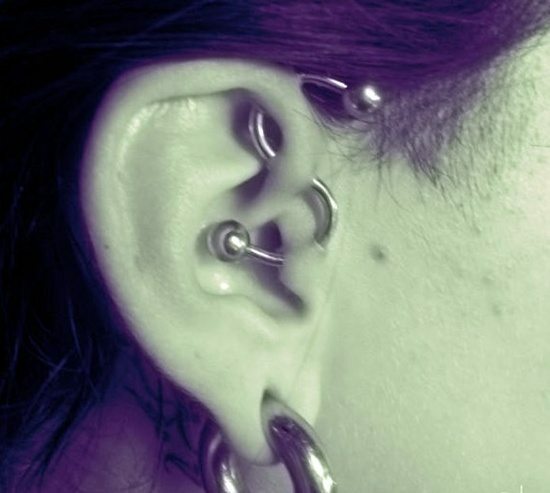 They are also supposed to be more painful as compared to other piercings.